When is being too good a bad thing? When you’re Marcus Mariota. 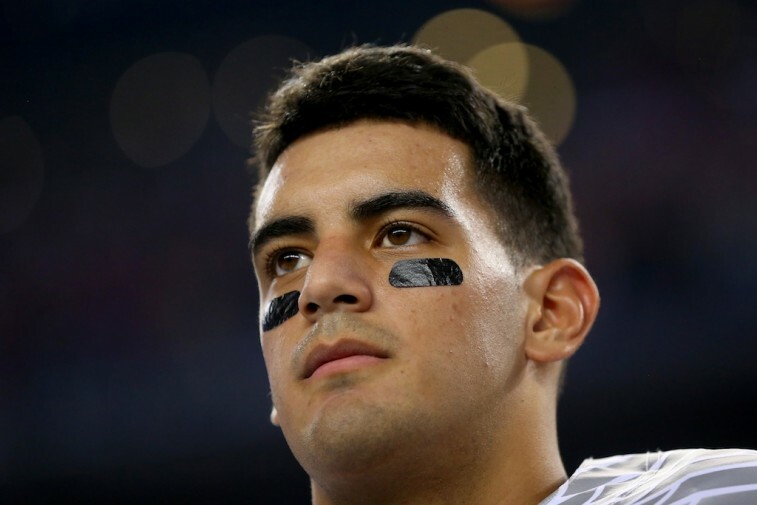 According to ESPN College Football Insider Brett McMurphy, Oregon Ducks head football coach Mark Helfrich told him that during the pre-draft process, he was informed by a head coach and a general manager that “Marcus Mariota not having any red flags was a red flag.” That’s right folks, the former Heisman Trophy winner apparently scared a few NFL personnel folks because he did no wrong. Is there anything more ironic? We can understand a team’s reluctance to take a chance on a player with notable off-the-field incidents. It’s a risk to take a player with a history of failed drug tests. Selecting a player who’s been citing for something like theft could end up backfiring for an organization. And what are the chances a player who was kicked off his college team for a confrontation with the coaching staff won’t prove to have the same sort of hot tempo once he reaches the pros? These are just a few things NFL franchises must weigh before deciding whether or not to bring a player into the fold. And yet, never before have we heard of a situation where teams were concerned a player was too squeaky clean. This is a new one. However, perhaps this has less to do with Mariota himself, and more to do with the fact we live in an extremely cynical world. Perfection scares us. When someone has nothing wrong with them, we immediately become suspicious. We can’t help it. No one should be without faults or flaws. That’s not normal. They must have some skeletons buried deep within their closets. That’s the only explanation. And until we learn the truth, there’s no way we can trust them. That’s how people think. And it’s unfortunate. Despite all the recent scandals, the National Football League really does have some standup individuals. So in light of Helfrich’s crazy revelation, let’s take a look at some of those players who may draw suspicion because of their positive attributes. Here’s a look at five NFL players who are too good to be true. How quickly perception can change. 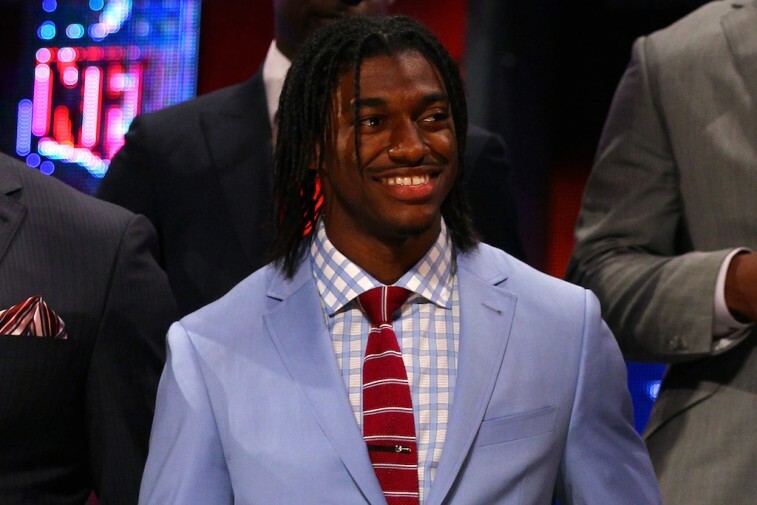 Robert Griffin III had the folks of the D.C. area thinking championships. That’s the sort of confidence he exuded after being selected by the Washington Redskins with the No. 2 pick in the 2012 draft. He was charming, articulate, and had an undeniably contagious smile. The energy surrounding RGIII was palpable and his initially electric play on the gridiron gave hope to a starving fan base. Of course, that was before the injuries limited his ability on the field; before reports came out that he undermined former coach Mike Shanahan and put himself above the team. After so much promise, people are now wondering if Griffin has what it takes to be a franchise quarterback in the NFL. This is a big year for RGIII — a make or break year. Will he be able to make a comeback or will he prove too good to be true? We’ll find out soon enough. 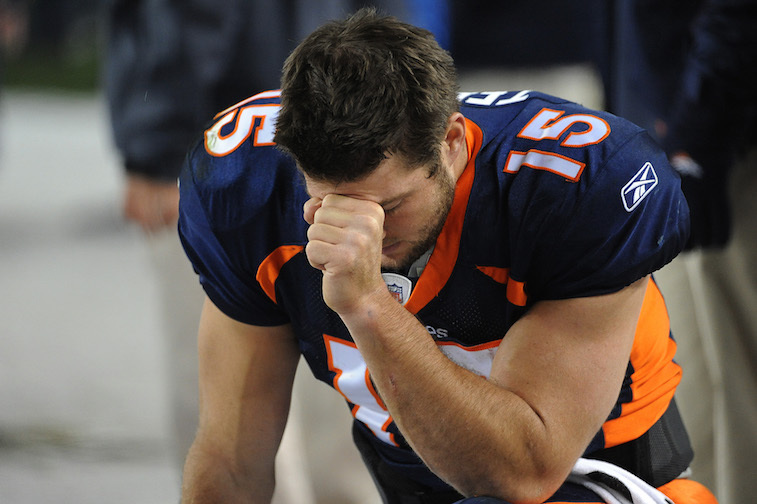 The jury is still out on whether or not Tim Tebow belongs in the National Football League. In fact, with Chip Kelly taking a chance on the former Heisman Trophy winner, the Philadelphia Eagles could be his last shot to suit up on Sundays. And yet, in the face of all who doubt him, Tebow remains happy, enthusiastic, and grateful for the opportunity. This is just who he is; who he’s always been. It’s mind-boggling how he does it. Tebow doesn’t drink, he doesn’t curse, he doesn’t cause trouble. He’s intensely competitive, yet humble to the core. He has morals and values and goes on mission trips to help make the world a better place. And more importantly, he never skips a leg day. If the only thing wrong with this guy proves to be that he’s not good enough to play pro football, we’re sure Tebow will be able to live with it. Russell Wilson has been such a model citizen that his goody two-shoes persona has actually started to rub people the wrong way. Even while being one of the most popular players in the NFL, there is still an argument to be made that he is unlikable. Has is that even possible? Because he’s too perfect. And by extension, how could he not be fake? 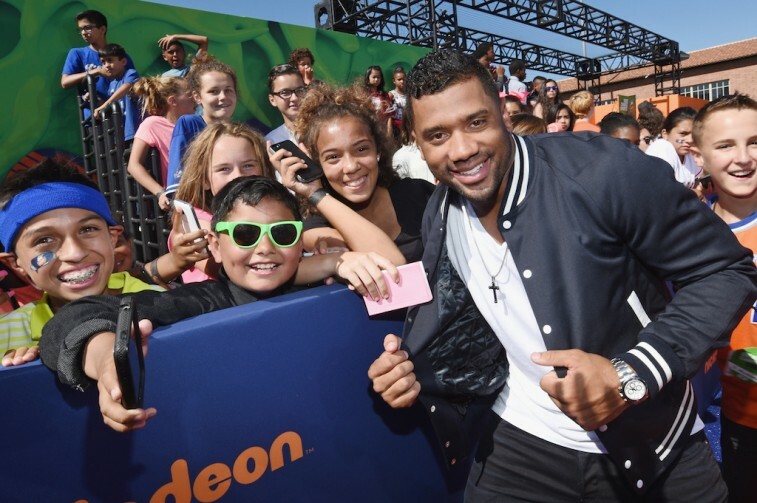 Not only has Wilson quarterbacked the Seattle Seahawks to two straight Super Bowl appearances — including one win — but he also finds the time to make weekly trips to Seattle Children’s Hospital and isn’t against making a fool of himself at the Nickelodeon’s Kid’s Choice Sports Awards. If Wilson has any real flaw, it’s that he believes he deserves to be the highest-paid quarterback in the NFL. Granted we feel that’s a bit of a rich on his part. Then again, we can’t fault the effort. 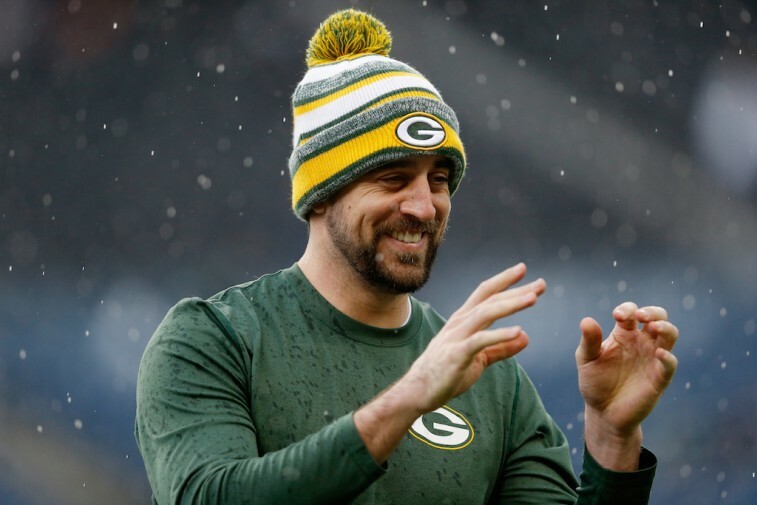 The only reason not to like Green Bay’s Aaron Rodgers — discounting defensive coordinators and those who cheer for opposing NFC North teams — is that he’s good at everything. EVERYTHING. He’s the best quarterback in the National Football League. He gets to date Olivia Munn. He’s got legit comedic chops, with an on-point deadpan delivery. He even wins Celebrity Jeopardy, while simultaneously prompting a curmudgeon like Alex Trebek to do the Discount Double Check. No one should have that many things going for them; especially not the reigning MVP quarterback of the Green Bay Packers. It’s not fair. Then again, he did handle that whole “Brett Favre fiasco” with grace and class. Who are we kidding, we can’t stay mad at Aaron Rodgers. It’s impossible. 6-foot-6, 290-pound defensive linemen are supposed to be angry brutes, hell-bent on the destruction of anything that stands in their path. After four historically dominant seasons in the NFL, this is a safe way to describe Houston Texans All-Pro J.J. Watt on the field. However, when the game is over and the pads come off, the former Wisconsin Badger turns into an entirely different person. And perhaps that’s what makes him even more terrifying. Watt is a big softie; a real-life version of Road Dahl’s BFG (Big Friendly Giant). He asks the kids to teach him how to “Nae Nae,” he’s not afraid to show off his moves at a Houston Rockets playoff game, and he’s fiscally responsible. It’s as if he’s two completely different people — one records 20.5 sacks and 10 pass deflections in a single season, the other lives in a log cabin-slash-mansion in Wisconsin. Yet, that’s not the case. This is just one guy. 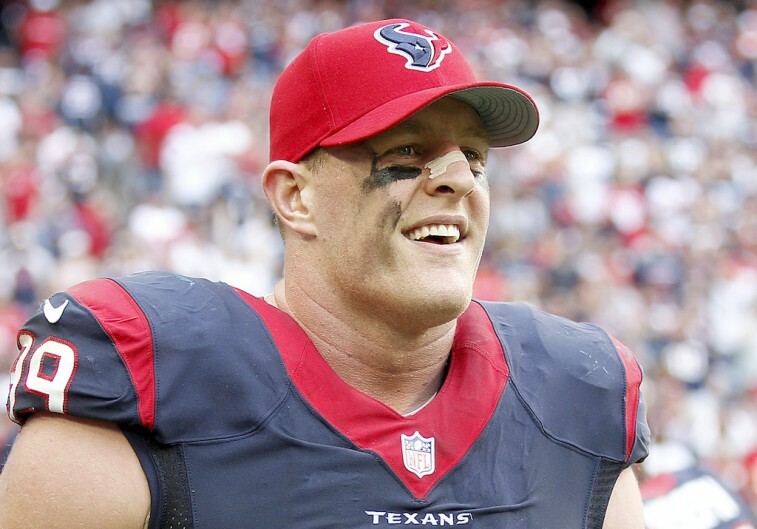 And until something comes along to disprove it, J.J. Watt is just that awesome. All statistics are courtesy of Pro-Football-Reference.com, ESPN.go.com, and Yahoo Sports.